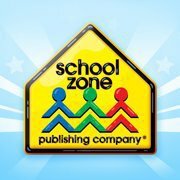 School Zone is a fantastic publisher of school related workbooks, flashcards and software. Educational tools for use in school and home! This is one of the companies that Home Schoolers love for all of their products. They have tools useful from preschool through 6th grade. In the past 30 years they have sold billions of products used to better educate our children. We have used flashcards from School Zone for years. 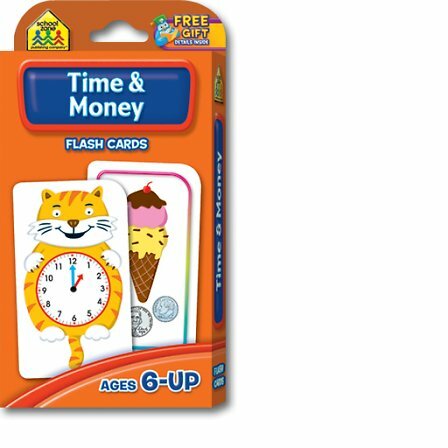 Most recently the Time and Money cards with my 8 year old. She has the money concept down fairly well, so it was nice to reinforce that with her. The time is a little trickier. I love using these flashcards for time with a moveable clock for her to line up the time by hand as well as looking at the card. Just a little more hands on learning for her. The cards are thick and fit nicely back into the box for storage. The confidence that kids can gain in their home with these tools, also goes forward with them into the public arena. Add in a couple workbooks and you have an easy 'on the go' school! I know many home schoolers do utilize their time in driving to reinforce things they have been learning. Leave a deck of cards in the car and when you are in there, you can help them work on learning rather than arguing with their peers. Visit School Zone online for well researched learning tools!